The Freedom For Ocalan campaign is a committee of leading UK trade unionists and community activists dedicate to the release of Ocalan, peace and democracy. 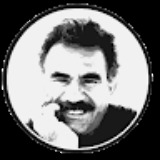 Freedom for Ocalan hasn’t been active on Medium yet. Check back later to see their stories, claps, and highlights.